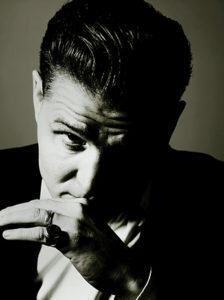 Douglas McCarthy is best known as the frontman of Nitzer Ebb. Over the past decade, he has worked closely with Terence Fixmer as “Fixmer/McCarthy”. In this episode, he speaks at length about the ups and downs of being in the music industry for 35 years, his connection to techno music, and his latest solo and collaboration projects. If you’re 18 or you’ve been living under a rock, Nitzer Ebb stormed the scene in the late 1980s with their massive album “That Total Age” which featured dance club anthems like “Join in the Chant” and “Let Your Body Learn.” Since the album’s release, these songs found their way into many DJ sets, radio stations, movies, and even a Grand Theft Auto video game.